Batman’s son, Damian Wayne, has a sad. I’m pretty sure we can fix this. Three days down, three days to go! 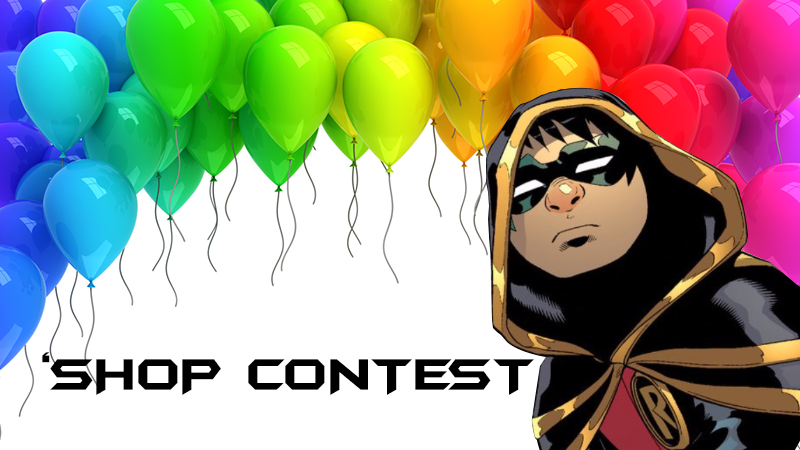 Why is Damian Wayne, AKA Robin, so sad? Did he not get his Fire Emblem collector’s edition on time? Has his father forgotten he existed? Did he decide to scrub the last ‘Shop Contest entirely due to an influx of off-color entries he totally should have seen coming, postponing judging until ultimately attempting to start fresh with a comics-related contest? None of these reasons (except the last two) matter. We have a child who is hurting, and even though he’s shown an aptitude for assassination, he’s still just a boy. Let us fix him. I’ve made you a transparent PNG of Mr. Frowny Face. Just grab it, and put it in a happy place. Give it a hug. Buy it some candy. Maybe gummi bats. Upload your entry (at least 800 pixels wide) in the comments section before next Saturday, and we’ll get back into the swing of things. For less than the price of a cup of coffee you can put a smile on the face of the heir to the Wayne fortune.